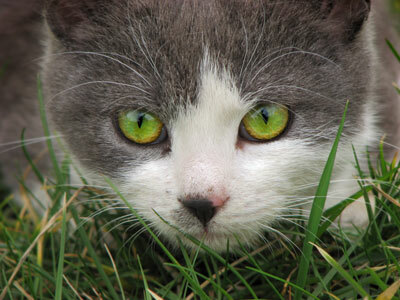 The most common cause of poisoning in dogs and cats is from insecticides. Presently there are more than 25,000 insecticides registered for use in the United States. Insecticides used to control fleas on pets cause the majority of poisonings. Some animals are overly sensitive to flea products (insecticides used to control fleas) and in other instances the pet owner does not use these products according to instructions. Insecticides can be absorbed through the skin, inhaled through the lungs, or ingested. Cats often ingest topical flea products during grooming. Overstimulation of the nervous system is the most common symptom of insecticide poisoning. Early symptoms include excessive salivation, uneasiness and a change in personality. As the condition progresses, muscle tremors, change in pupil size (contracted pupils), vomiting and diarrhea occurs. Eventually, if poisoning is severe, stiffness, paralysis, and seizures are common. Death occurs from cardiovascular and respiratory failure. Clinical symptoms generally progress rapidly and persist for days and even weeks. Before using any insecticides on your pet (flea products in particular) talk to your veterinarian for advice. Most veterinary hospitals sell flea products that are safe, reliable, and effective. Insecticide poisoning is a medical emergency and immediate veterinary care is required. If insecticide poisoning is suspected, the animal should be rushed to a veterinary hospital or animal emergency center.